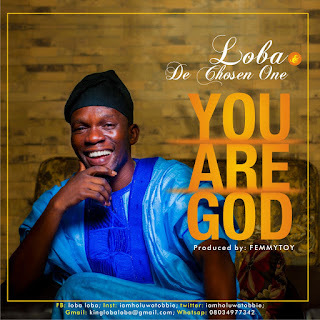 Loba & De Chosen One is thrilled to announce the release of their debut single titled - 'You Are God'. The song was inspired by the Holy Spirit when studying the scripture (Psalms 145 vs 2) and it has really blessed his life. 'You Are God' expresses God's wonderful works in His majesty and he being worthy of our praise. Composed by LOBA, arranged and produced by Femmytoy.